Will my Mobile phone work in Ladakh or not is one of the foremost questions asked by anyone planning to visit there. Rollback about a decade or so and the answer to this question would most probably have been a straight no. Thankfully, such is not the condition anymore. Tourism in Ladakh has increased several folds in last few years; and as a result, availability of basic amenities too has improved drastically. Authorities are taking every step possible to make it easier for tourists to visit Ladakh. Along with facilities like hotels and local transport, cell phone connectivity too in Ladakh is far better now than it was a few years ago. If you are planning to visit this year, then mentioned below is the most recent update on Mobile Network in Leh Ladakh in the year 2019; which will also remain applicable for coming few years actually. Which Mobile Network Works in Leh Ladakh? The first thing that you should know here is that only postpaid mobile phones work in Ladakh; and in the entire state of Jammu & Kashmir actually. This is applicable by law and a mandate for all cell phone companies. If yours was a prepaid connection, then your mobile phone will be as good as a paperweight the moment you cross over into the state of J&K. If you were however carrying a postpaid connection, then your cell phone reception will depend on where you were exactly. It will continue to change as you move from one place to another. At some locations, you will have full connectivity with 4G data; and at a few others, you will be completely off the network. Further details on the same are provided in the article below. BSNL by far is the best mobile network in Ladakh with widest coverage. Airtel will be the second best network followed closely by Jio at third. Vodafone and Idea are next in line but both provide coverage at limited places only. Thing with a BSNL network is that there will be a slight compromise on voice clarity and data connectivity too will be bad; but you will get coverage at most of the major tourist attractions. If you were carrying a postpaid BSNL network, then you will have full connectivity in Leh City. Data speed will be just about OK. Voice quality too in Leh will be acceptable. With BSNL, you will remain connected at majority of the places in Nubra valley with an exception of Turtuk and Warshi. At Hunder, Diskit and Panamik, your phone will work just fine. BSNL will work at Pangong as well but only during morning hours. Do keep in mind though that even if you were able to make a call, voice will be extremely bad and you will barely understand the other person. On the upside, you will at least be able to send text messages out. At Tso Moriri, your BSNL network will continue to come and go at regular intervals. The last time I was there, I could not make or receive calls but was able to send an SMS. BSNL prepaid phones do not work in Leh City; it must be a postpaid phone. Since BSNL and MTNL are pretty much the same deal, everything that I mentioned above about BSNL will apply to MTNL connections as well. Airtel Network coverage in Ladakh comes second to BSNL only in terms of coverage; but makes up for the gap by providing better sound quality and a faster internet. You will have full network and 4G internet in Leh City. In Nubra Valley, you will get full connectivity and 2G internet in Hunder and Diskit. There is no airtel coverage in places like Turtuk and Warshi yet. By May this year, Airtel will have 3G connectivity in Hunder. There is no Airtel network at either Pangong or Tso Moriri. Airtel has full connectivity in Kargil with 4G data. As a matter of fact, you will remain connected on the entire stretch between Leh and Kargil. You may lose the network for a while at a few spots but not for long. With Airtel, you can actually hope to get connectivity even in Drass as well. Surprisingly, Airtel has full connectivity on the Stok Kangri trek as well. You will remain on network at Stok Base Camp, Manokarma camp and at Stok Kangri Summit. 4G Connectivity on Airtel is available only in Leh city, nowhere else. Will Jio work in Ladakh? The answer is a definite yes with a few exceptions. Jio network in Ladakh has improved tremendously in last couple of years. Their coverage is in fact a bit greater than Airtel; with a better voice clarity and internet than BSNL. Your Jio phone will have full coverage in Leh City. In Nubra Valley, Jio has already started to provide 3G connectivity in Diskit and Hunder. It does not work any beyond than that though if you wanted to visit Turtuk as well. There is no Jio connectivity yet at Pangong and Tso Moriri. Jio provides full connectivity in Kargil as well with 4G data. Vodafone sadly has not been able to improve their services in Ladakh yet. It’s coverage is limited to Leh City only and nowhere else. Same as Ladakh, Idea mobiles too will work in Leh City only; nowhere else in Ladakh. Apart from the cellular companies, let me also break this information by regions in Leh Ladakh. BSNL, Airtel and Jio will work in Hunder, Diskit and Panamik. Only BSNL may provide some connectivity at Turtuk but do not count or rely on it. Jio is already providing 3G internet till Hunder and Airtel will start by May. Vodafone and Idea do not work in Nubra Valley. 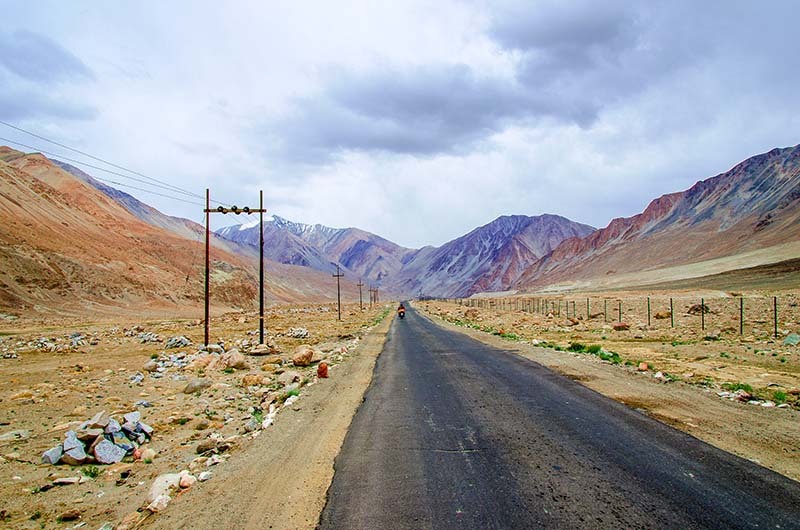 There is no cell phone connectivity on Agham Shyok road; the direct route from Nubra valley to Pangong Lake. Only BSNL has coverage at Pangong; but that too is mostly in early morning hours and at some spots only. Voice clarity will not be good and there will be no internet as well. You will however be able to send text messages out. Your cell phone will go off the network near Sakti as you start climbing up the Chang La Pass. BSNL users will then start to get connectivity after Tangtse and then it will be a “come and go” affair. This however will be limited to only around Spangmik. If you travel towards Man and Merak, expect to be off the network entirely. Same like Pangong Tso, only BSNL phones may get some connectivity at Karzok but that too is highly doubtful. Even if you do get the network, it will continue to keep coming and going and you won’t be able to make any calls as such. There is no mobile coverage in Changthang Valley; including Hanle, Umling La, Chushul, Loma, Nyoma, Mahe and Sumdo. There is no connectivity in Chumathang as well. BSNL users may get some signal occasionally in Hanle but I wouldn’t count on rely on it. Just assume that you may not get any connectivity at all once your go beyond Spangmik. There is no cell phone connectivity in Sham Valley irrespective of which network you are on. Only BSNL works in Zanskar Valley and that too only in the town of Padum. There is no mobile network available elsewhere in Zanskar Valley. BSNL may work in Jispa but don’t count on it really. The connectivity will mostly be intermittent. BSNL and Airtel both have connectivity in Keylong. As you start to drive from Manali, you will lose network somewhere near Rohtang Pass. Vodafone and Idea will not get back on again until Leh. BSNL, Airtel and Jio users however can expect to get coverage for a day more around Keylong and Jispa. After that, it is a complete dead zone until Upshi. Once you cross Upshi and start to get closer to Leh City, all phones will jump back on network. BSNL, Airtel and Jio phones work well in Kargil. Starting from Srinagar, if you were on a postpaid connection, you will have some connectivity until Sonamarg. Your phone will be dead again until you reach Kargil. In Kargil, BSNL, Aitel and Jio will provide excellent network with good voice clarity and 4G data. On the stretch from Kargil to Leh, Airtel will continue to keep come and go at regular intervals. Mobile network connectivity in Leh is great actually. No matter which network you are on, you will have full coverage. Airtel and Jio both provide 4G internet in Leh City. Vodafone and Idea do not have 4G in Leh yet but their speed is decent enough. Only BSNL works at Khardung La. If you were a Jio or Airtel user, you will lose connectivity but will get it back again as you drive down into Nubra Valley. For BSNL users though, network will continue to come and go throughout the day from Leh to Nubra Valley; and it will work on the top of Khardung La as well. And I think that covers most of the information that you should know in terms of mobile network in Leh Ladakh. I do hope that the information posted above was of help. If you have any other questions; or need any further details; please feel free to ask in the comments section below; or at our Community Forum; and I will be glad to answer. I am going to leh in 1st week of october for 12 days. I am covering all of leh from nubra valley to pangong lake then moving to srinagar via kargil. I have a postpaid airtel number and a bsnl prepaid number. I just want to know is it necessarly to convert my bsnl prepaid number to postpaid in order to stay connected or airtel be just fine.